How to Add content from your computer to iTunes on PC & Mac – www.AppleRepo.com, Below we discuss how to get into their existing music, movies etc. 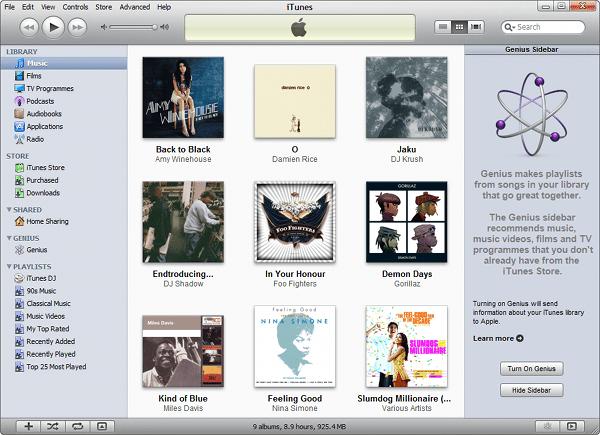 to your iTunes library, then this is not always obvious. It may be that you already have a large itunes library of music and want to transfer it to your iPhone or iPad and not just settle for what you purchased from the iTunes Store. You can add audio files AAC, MP3, WAV, AIFF, Apple Lossless, or Audible.com (.aa). Not protected WMA content, you can convert to above format in iTunes for Windows. You can also add video content that has QuickTime or MPEG-4 in iTunes. Follow the instructions below to learn how to add files in iTunes . 3. Navigate to the file or folder you want to add. If you’ve enabled iTunes function Copy files to iTunes Music folder when adding to library, iTunes to copy all the contents of your iTunes library to the iTunes Music folder. You can change or specify a different location for the folder using the Advanced tab in iTunes Preferences.